"Welcome to the Arena, where high-ranking philosophers are transformed into spineless mush. Abandoning every ounce of common sense and any trace of doubt, you lunge onto a stage of harrowing landscapes and veiled abysses. Your new environment rejects you with ontological uncertainties and existential angst as legions of foes surround you, testing the gut reaction that brought you here in the first place. Your new mantra: Out-argue or be finished. 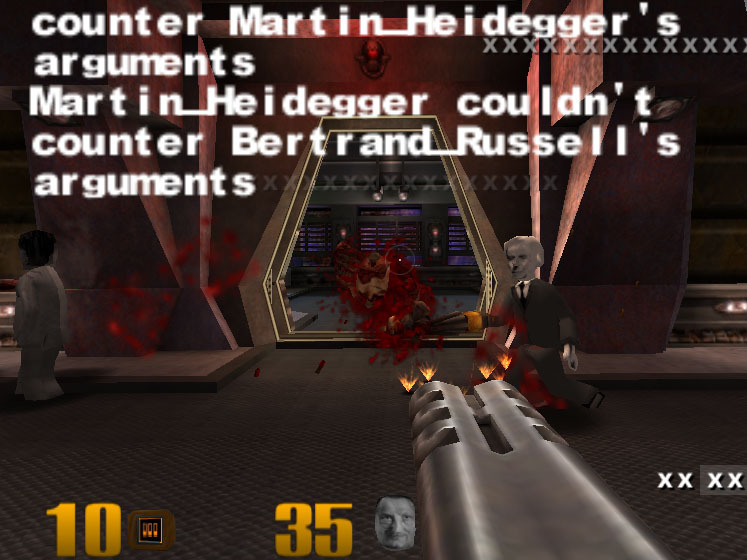 Philosopher DeathMatch is a complete game based on the Quake III Arena engine, where players argue to the death against the great thinkers of history. 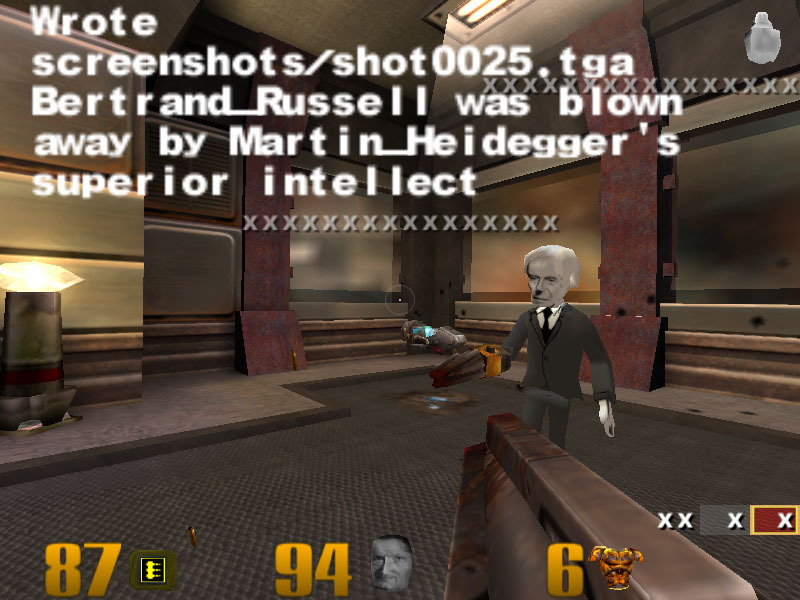 The finely distilled aggression and conflict of the original game remains, but is recast and often obstructed by the discursive force of reprogrammed AI bots with amplified chat features. New game maps from the Agora to the University of Frankfurt provide the backdrop for battle between philosophers from Aristotle to Adorno in a furious bloodbath of ideas. 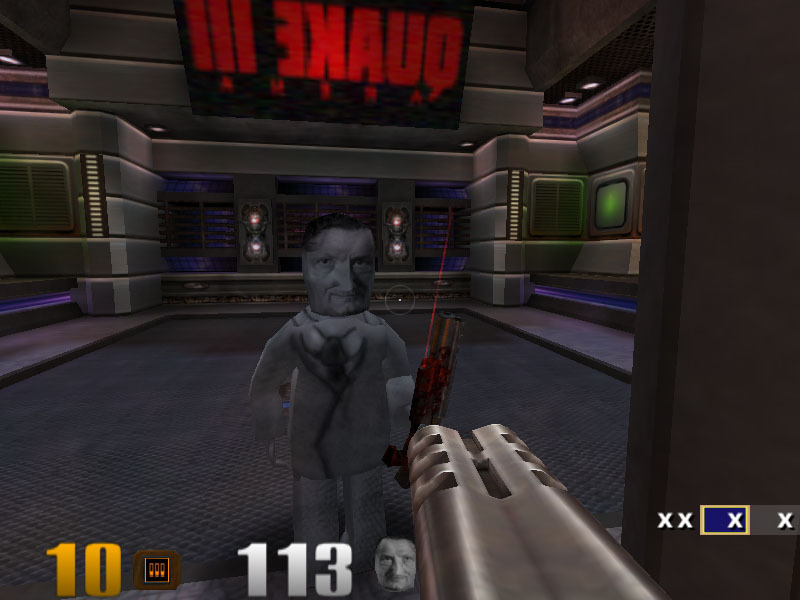 Traditional Quake items like the Gauntlet, Railgun, and Missile Launcher are augmented with brutal new weapons such as Occam's Razor, the Dialectrocution Blaster, and of course the unmatchable force of the Western Cannon.